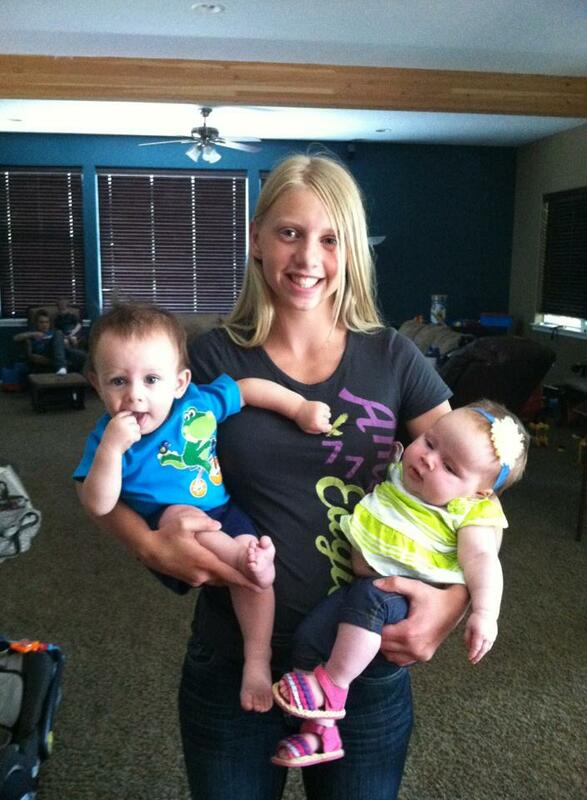 One of my nieces holding her cousin and little sister. She is almost as big as her cousin and he is 6 months older! It was an eventful week! I feel like I am recovering from my school year, the hectic pace of running everywhere and hoping to figure out a way to slow things down a bit. 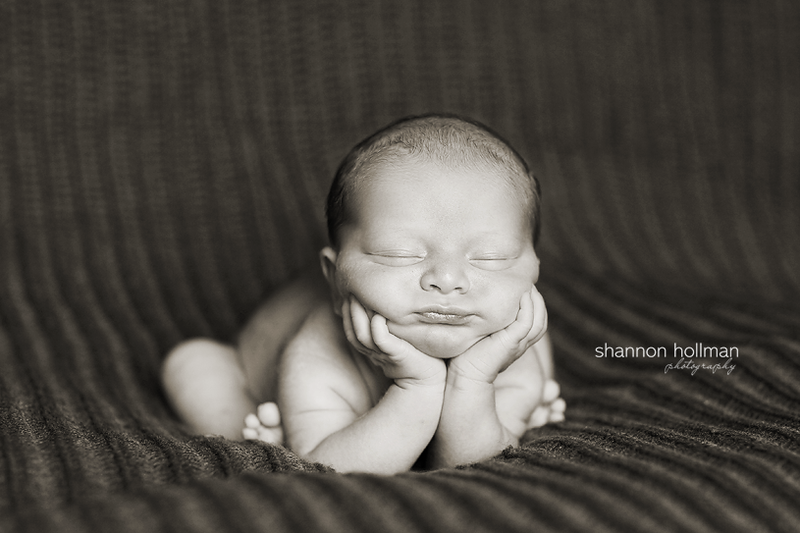 I got another new nephew earlier in the week, where I am able to be a doula at the birth! Then this weekend, I was in charge of our annual homeschool book sale and that was, as always a lot of work, but also a lot of fun! I love selling books and helping people with them. You get to do a lot of organizing and work hard, but it is nice! My aunt is struggling for her life right now which cast sort of a pallor over the week, and I am hoping and praying for a miracle for her. But, I know also that she is in Someone’s hands bigger than mine. My uncles are coming this week and I think one of her daughters to possibly say goodbye, which just tears my heart out. I have not wanted to go here for awhile. I was thinking about how life begins with the birth of a baby and how quickly life goes by and ends, sometimes before we are ready to go. It gave me the sobering reminder to treasure each moment that I have, savor the family moments, cuddle the babies, and don’t spend so much time running around like crazy. I am not the most accomplished person in the world, I spend most of my time working for other people, but I have found that if I am poor, but am rich with memories, that is worth it. My aunt is one of the most beautiful people that I have known. I am going to miss her dreadfully if she leaves us. Let’s see how this week goes and hope it goes smoother! Thursday: The Asian chicken salad with egg rolls that I didn’t get to make last week! 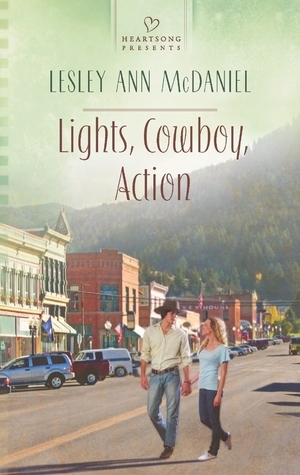 LESLEY ANN MCDANIEL is a lifelong lover of words, animals, and musical theatre. Born in Missoula, Montana, she was one of the original Dwarfs in the Missoula Children’s Theatre’s inaugural production of “Snow White”, which is still touring the world. While earning a degree in acting at Willamette University in Salem, Oregon, she fell in love with theatrical costuming, and pursued that as a career while nurturing her passion for writing on the side. Through God’s guidance, she has shifted her focus to honing her skills as a writer of romance and young adult fiction. Between working as a homeschooling mom and as a professional theatre costumer, Lesley has completed several novels. She would have done more by now if she didn’t also occasionally stop to clean the house and fold the laundry. Fortunately she loves to cook, so no one in her family has starved yet. She is a member of the Northwest Christian Writers Association, American Christian Fiction Writers, and a wonderful critique group. A native Montanan and a Big Sky girl at heart, Lesley now resides in the Seattle area with her husband, two daughters, three cats and a big loud dog. In her spare time (ha!) she chips away at her goal of reading every book ever written. Will COURTNEY JACOBS do whatever it takes to keep her job as personal assistant to an A-list movie actress? While filming in Thornton Springs, Montana, Courtney’s demanding boss insists she set her up with ranch owner ADAM GREENE as a romantic “diversion”. The only problem? Courtney’s fallen for him herself. Now she’s forced to merge the resurrection of her lost faith, her growing love for this town, and her attraction to Adam with her Hollywood career ambitions. What’s a girl to do? Courtney Jacobs doubted there could be enough coffee in all of Thornton Springs, Montana to see her through this movie shoot. After filling her paper cup with the morale-boosting brew, she headed back toward the set. All around her, sleep-deprived crew members hustled to transform this charming burg into an old western town. She checked her watch. Seven AM. Within an hour, Keith Kingsley, the temperamental director of North to Montana—N2M to insiders— would be ready to call ‘action’, and he wasn’t exactly known for his patience. “Move it or bleed!” A rigger bellowed as he charged past, swinging an aluminum grip stand just over her head. She danced around a coil of electrical cables then sidestepped a set painter as he examined the distressing he’d given a storefront. Wincing as the gaffer shouted out coarse instructions to his crew of lighting techs, she ducked to avoid a swooping boom pole. A contented sigh slipped through her lips. With just four independent films on her résumé— two a year since graduating from college—she felt lucky to have booked a major studio-backed project so early in her career. She’d been hired as personal assistant to the star, Angela Bijou—an A-list actress with a reputation for supreme diva behavior and for taking up with her leading men. Angela had made it clear from day one that Jeffrey Mark Caulfield (sizzling from the recent success of The Pharaoh’s Tomb), would be no exception. The bleep of Courtney’s cell phone drew her from her wandering thoughts. Balancing her still-full cup on the edge of her clipboard, she opened a text from the key costumer. Courtney gnawed at her lower lip. If Ms. Bijou didn’t know about the fttng, it would be one more thing for her to take out on Courtney. Hurrying down the center of the newly dirt-encrusted street, she clenched her cup between her teeth and shoved her clipboard under her arm. She flicked open the phone keyboard and tapped out a response while dodging a gaggle of grips positioning an old wooden wagon by the edge of the just-built boardwalk. Nearing the area where the first scene of the day would be shot, Courtney hit ‘send’ and scanned the street. Several cast members milled about in costume but—no surprise—Angela wasn’t among them. Giving a cursory glance to the pink berry Swatch she’d been given as a ‘thank you’ from her actress on her last movie, she headed toward the make-up trailer in the hope that Angela had made it to her call on time. Striding across the set, she drank in the liveliness of her surroundings. 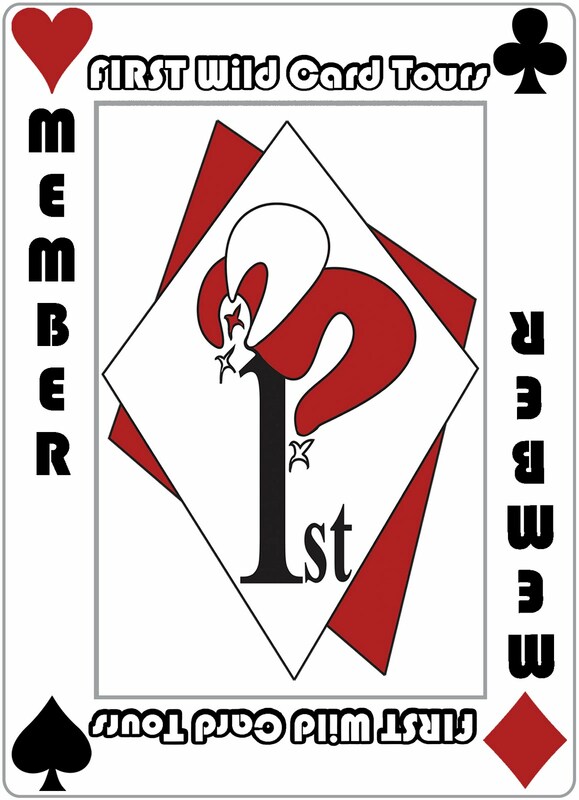 It was great being a part of something this vital. So what if her job at the moment was keeping the leading lady on-schedule? She was an indispensable cog in the machine. Stopping in her tracks, Courtney spun around to face the familiar angry command. From the first day of rehearsals, Angela Bijou had demonstrated an annoying articulation of Courtney’s name that made the word itself sound like an outright accusation. “You had better explain what’s going on here!” The woman stormed toward Courtney with a heated, resolute gait and fire in her famous jade green eyes. Her flimsy peach silk cover-up and matching turban signified that she hadn’t yet made it to hair or wardrobe, and screamed look at me—I’m a star. Courtney opened her mouth to respond, but Angela cut her off with a tirade that rivaled Hurricane Katrina. “Are you completely incompetent?” Angela screeched as she planted her lithe form two feet from where Courtney stood. As the blood rose to her face, Courtney became painfully aware that the entire cast and crew had turned to gawk. “What’s the matter, Ms. Bijou?” She fought to keep her tone level. Courtney let that register. All this fuss over a plumbing problem? Courtney heard herself utter something about making a few phone calls to Norway as she took a giant step backward. Gripping her half-cup of tepid coffee between her thumb and her index finger, Courtney flipped through the papers on her clipboard as if to exonerate herself from this allegation. She knew nothing about her actress’ water preference and made a mental note to be sure always to ask in the future. With what she hoped would read as a competent smile, she turned to go, smacking into a carpenter as he flew past with an armload of railroad ties. Coffee flew from her cup, splashing across her papers and down the front of her sea green t-shirt. She winced. Courtney clutched her clipboard to her stained front and darted toward what appeared to be a grocery store in the next block. If the last five minutes were any indication of things to come, this shoot was going to be a nightmare. “Yessir, this is just about the biggest thing that’s ever happened in this town.” Cal wiped his hands on his apron and stretched a long gaze out the front window of his general store. Abruptly, the front door burst open and in flew a young woman gripping a clipboard and a paper cup. She pushed a strand of sandy blonde hair from her forehead with the rim of the cup as she scanned the store, urgency fairly sparking from her hazel eyes. Adam’s gaze dawdled a little longer than he liked to consider gentlemanly. As she surged purposefully toward the counter, his eyes followed. She looked young and pretty in a fresh-faced, no make-up sort of way. Judging from the walkie-talkie clipped to her belt, she must be some sort of behind-the-scenes worker, not an actress. A corner of his mouth lifted. Maybe having the movie people in town wouldn’t be such a bad thing after all. “It’s French.” She tapped the clipboard with the cup and scouted around some more. Adam cast an amused glance at Cal, whose expression had grown even more befuddled. “I don’t…I mean….” Cal stammered. “No. I mean…thank you.” Shifting the cup to the hand that held the clipboard, she pulled a cell phone out of a pouch on her waistband, and started punching in numbers as she moved toward the door. Looking back, her eyes rested briefly on Adam. “Thanks anyway.” With a slight smile, she yanked open the door and bolted out. Leaning against the counter, Adam pushed his hat back a touch and folded his arms. Courtney surveyed the street as she darted toward the set, her hope of finding a specialty food store growing dimmer by the second. Her mind whirred. The only thing she could think of was to call the safe, actress-free office of her BFF back in L.A.
“You said it.” She started walking again. Clicking her cell phone shut, Courtney took a deep breath. Sure that guy seemed really great but this was the last thing she needed. She was here to do a job, not fall for some guy who lived a world away from everything important to her. Letting herself get caught up in thinking about him would just be irresponsible. Her pace slowed as she neared the set. Why did Angela’s personal drought suddenly not feel quite so urgent? Thinking about the cowboy seemed to have a mysterious calming effect on her. She shook it off. With a major problem to solve, she had too much on her mind to leave her head in the clouds. This YA book is a little different than our modern YA books. When Ann’s father decides she is done with her college education after only one year of school, she seeks to achieve her dream of teaching without a degree. Traveling to the hills of Kentucky, she works among the mountaineers and teaches their children, not the fancy French and English she thought she would teach, but often more practical things. Ms. Friermood’s books are written in a simple, straightforward way, and speak well of the historical ways of the era and differences between the different areas as well. The linguistic qualities of the different speech patterns, eating habits, and desire for learning is expressed so beautifully in this story. There is a small touch of romance mixed in the story, but the book is one that is worth re-reading as a wholesome, clean historical fiction for young people. We have a fairly tight budget that we live on. It is not horrible, but I make it work. It is not usually easy and it would be much easier to spend three times the amount that I do! However, I have a household with 5 males in it, which generally can eat a good deal. This is my menu for the week. I will add notes about how the week really has gone so far on the days that have past! I will add notes as the week goes on! Wednesday: Sloppy Joes, green salad, pasta salad- It ended up that my boys helped my sister move, and so instead, they had hamburgers over at my sisters house. We ate green salad and leftovers for dinner and late night snack, those of us that were here. Thursday: Tacos, rice- We ended up having Sloppy Joes, which were planned from the night before, because we didn’t use the meat the night before, we made a large pan of sloppy Joes. I used ground deer meat that my son hunted this past fall, vegetable juice and spices to make it and served on a pack of $1 buns from the bread store. We ate it with cucumbers. They had ice cream for dessert and finished all the rest of the pan at 9 pm. ate all the buns and I think had the rest on bread. Friday: Warm Cashew chicken salad – So…I ended up finding out my bell peppers had gone bad and gotten used up, so I ended up combining tomorrow’s dinner and tonight’s and making a pot of soup for tomorrow. I made a chicken, vegetable stir fry with cashews, mushrooms, broccoli, celery, carrots with the wonderful sauce from the salad recipe. We had it with rice and salad and sliced cucumbers. We had potatoes to use up, so I made a big pot of chicken, vegetable, potato soup for tomorrow instead. Saturday: Chicken/vegetable stir fry and rice- What happened today was that I made a big pot of soup yesterday from the potatoes that needed to be used up. We had some leftovers from last night as well that had not gotten eaten and the boys were gone all day. Two were working and two went to a fishing thing with their dad and they provided a free lunch and we have the soup available for dinner. Sunday: Leftovers, popcorn, cookies- It was Father’s day and we ended up eating salad and pizza at the bowling alley that my BIL treated us to. We had leftovers later. Monday: Crispy Won-ton and chicken salad, egg rolls- I was so looking forward to this salad and will still make it, but my sister had her baby and so I was over there for dinner and had jalapeño hamburgers that were delicious. I made the snickerdoodles. They ended more crisp that chewy for some reason. I think next time I will cut down the sugar. Ahh, the heat is hitting our happy area, and thunderstorms come through to cool things off. Tonight there was a doozy of a storm, but it was beautiful to watch with the wind, hail, and hard rain! 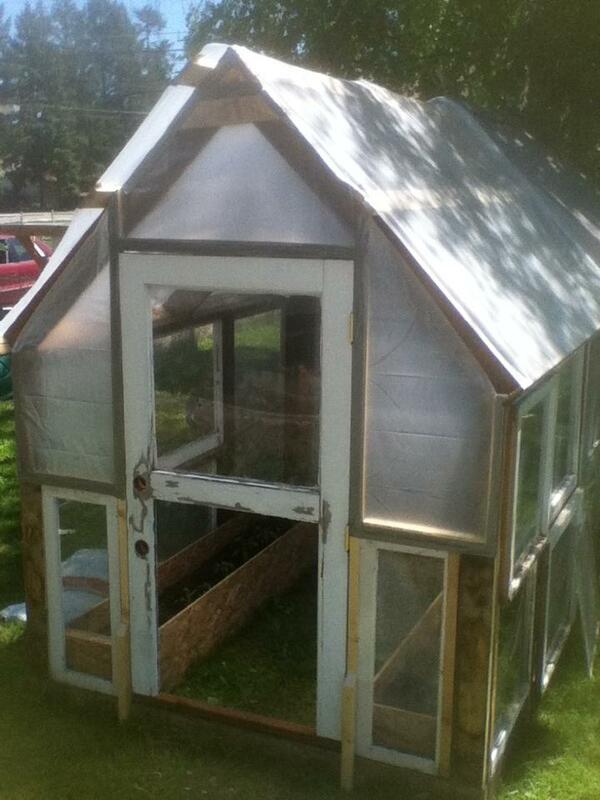 My son and husband finished mostly, our little greenhouse. 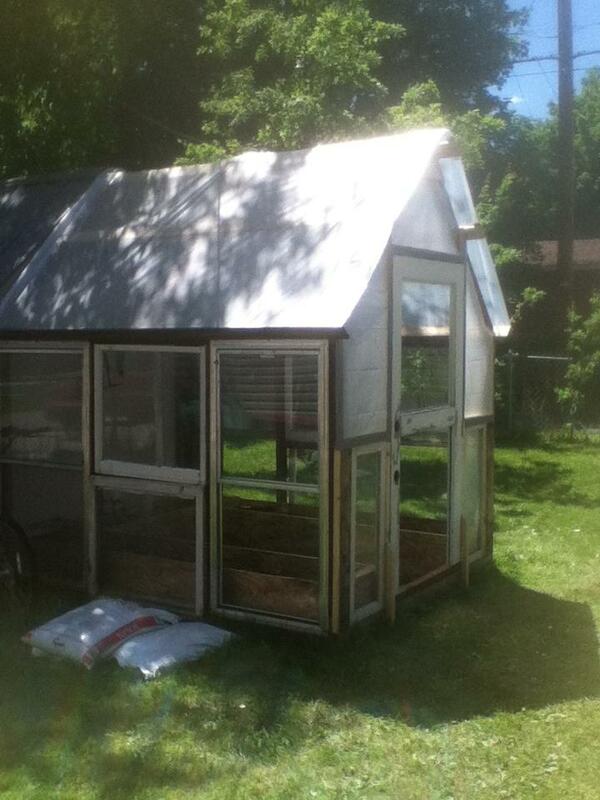 I will hopefully get a permanent roof for it and screen in the door, but hopefully it helps the tomatoes grow better. They had fun building it! It is mostly built from scraps and old windows, so a bit pieced together, but working great! So, the menu for the week! However, if a little baby decides to make an appearance, some of this may be scrapped! This book is short and sweet. If you have not read the O’Malley series yet, this opens the series, sort of introduces you to the family, the way they came together, how Tom and Jennifer met, and what she does for a living, since she is mentioned in all the other books, but not really detailed. It is very short, and the romance was a little too rushed to feel very real, but it does have the sweetness in it that her O’Malley series has, but without the suspense part. Even though I know the rest of Jennifer’s story, when I finished this, it made me want to re-read the O’Malley series, which was probably the author’s plan when she wrote this appetizer of a book. If you go to buy it, remember that, it is an appetizer, not really a main course and you will enjoy it much more! This book was provided for me for review by Bethany House and the opinions contained herein are my own. It has changed over the years. I looked around my kitchen and noticed the electric appliances that graced the counter right now. Some of my favorites that I use often are the crock pot, the stir crazy popcorn popper, my rice cooker and Bosch mixer. My mind went back to my kitchen a little over 11 years ago. I lived without electricity, running water and even counter tops for the most part. The sink drained into a bucket that we emptied outside when it got full and all water was hauled in and out, by hand. The floors were made of chip board, the shelves that served as cupboards did not have doors on them. It was a very small kitchen, one of those that most people would find in one of those miniature houses. It was serviceable though! There were often times, in our very small cabins, we had guests and gatherings of 25-50 people. It made me sit back and think. I am grateful for the electric appliances that I have available to me now. But sometimes I miss the ability to not think that my kitchen, house, space limits me in having guests. I sometimes see those mini homes and envy them a bit, as I remember the fun of jamming 25-50 people in a small space and having fun. I realize as I look around my kitchen, that while I am grateful for what I have, I could live without it again in a heartbeat. The only thing I will probably never give up willingly is hot showers at the turn of a faucet. I would even give up lights again! You know, your house looks a lot cleaner by lantern light! So, today, when you look around your house. Think of what you would absolutely have to have to live. What could you give up, even though you love it? Could you do it, if it would make you closer as a family or with friends? Tagged as appliances, Minimalism, what could you live without? I started this book after reading a very sad book, and found while this one was not much happier, it gives a great picture into the life of Irish in the early 1900’s. The author says in the back of the book, she tweaked a few historical details to write the story, the story seemed fairly accurate. Grace seemed very naive, ignorant almost, but I believe that was from her past experiences in Ireland. She mistrusts even those that are kind to her and try to help her. Her fascination with cameras and picture taking just seems to get her into more and more messes, but also attracts the attention of a handsome young police officer. I found that the story moved slowly at times, but was sweet in the story of Grace learning that she needed to let go of some of her fear. I hope that later she grew to appreciate even what her stepfather did to help save her from the workhouse. I had never read any books by this author before, but it was a great book, and one that I would recommend to any lover of historical fiction. I received this book for review from Tyndale Blog Network, the opinions contained in it are my own. 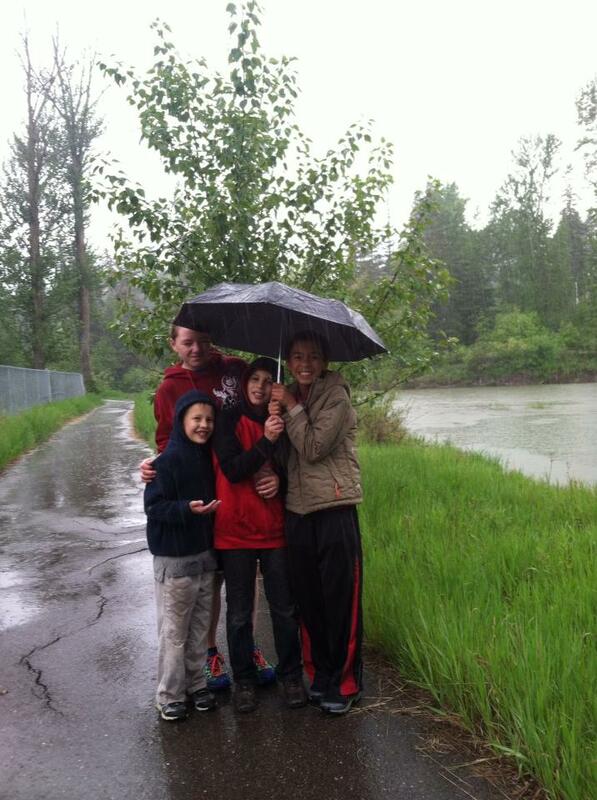 We went for a walk in the pouring rain yesterday! We didn’t quite plan it that way! But that was how it happened. As we walked we found we were wetter and wetter! It was slightly funny and the kids huddled under an umbrella for a moment for a picture and then dashed off to get even wetter!